I can remember my mother telling me stories about how my great grandmother would gather each vegetable, herb, and fruit from her backyard garden. She would take the time to nestle each with care into her apron before heading inside to spend hours making a beautiful meal. This became something I saw in my grandmother and my mother. I was able to see the overwhelming happiness as each dish was served, and as we all gathered over a common love-a common necessity. You see, to me, my great grandmother created something more than just family dinners and recipes passed on. She created an experience. 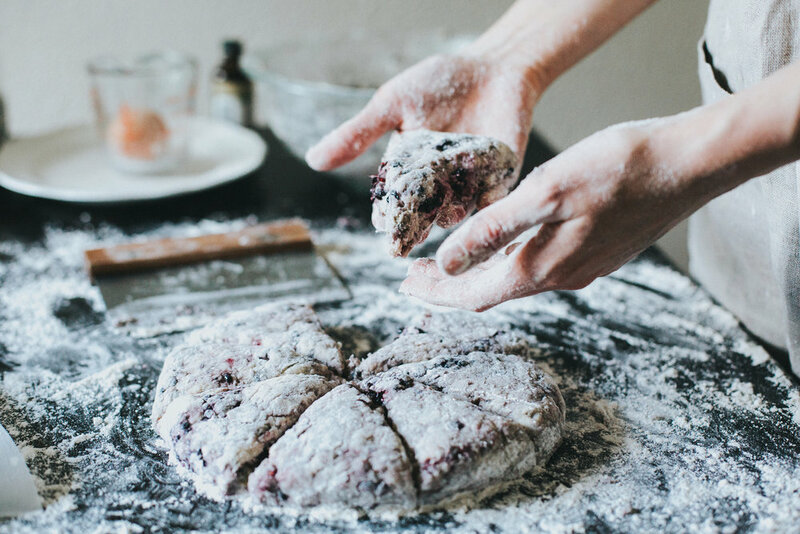 Here at The Rosemary Bakery, we realize that our experience and passion for creating pastries doesn't end once it is packaged and in your hands. It is something that is carried on into your homes and shared with those you care for most. We source local and/or organic ingredients to create beautifully simple products that not only look divine, but taste just as delicious. From our table to yours, seasoned with love.